There Are So many easy fall crafts to try and easy to make fall recipes so we’ve gathered our favorite 15 fall ideas and recipes to make this season! Do you know how much we love the idea of fall? The smell in the air of fresh leaves, pumpkins and apples, carnivals and parades. In Arizona…it’s still 108* so we are JEALOUS of you all who are cooling off and enjoying sweaters at night and crisp air. I know you may be jealous of us mid-winter when you’re sick of the snow and we’re walking around in tee’s but still, the idea of fall is so appealing that we had to round up 15+ fall ideas and recipes. Please PIN so your friend’s can gather easy to make recipes for fall and pretty fall craft ideas too! 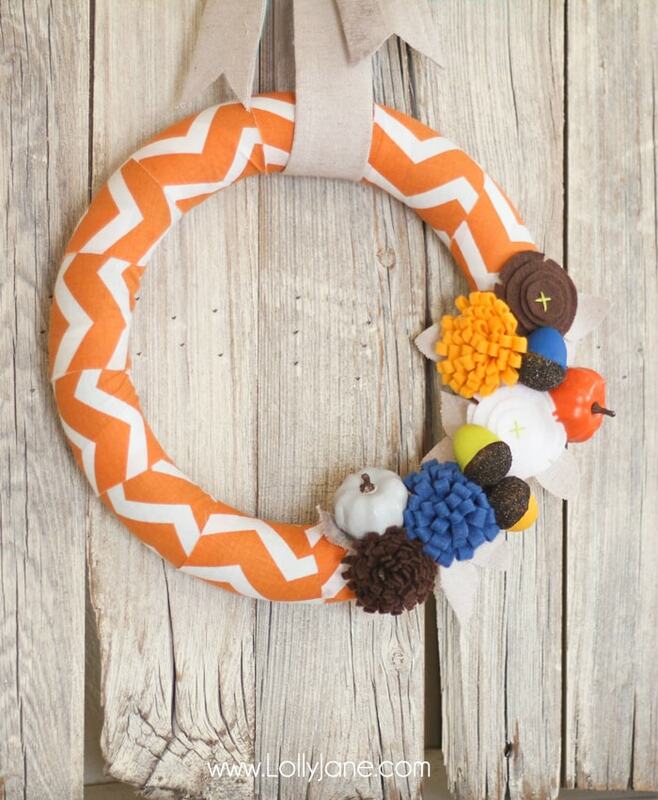 Follow our DIY Simple Fall Wreath tutorial using felt flowers and painted pumpkins. It’s so easy to create this pretty fabric fall wreath! We love this classic Fall Subway Printable from Bombshell Bling! 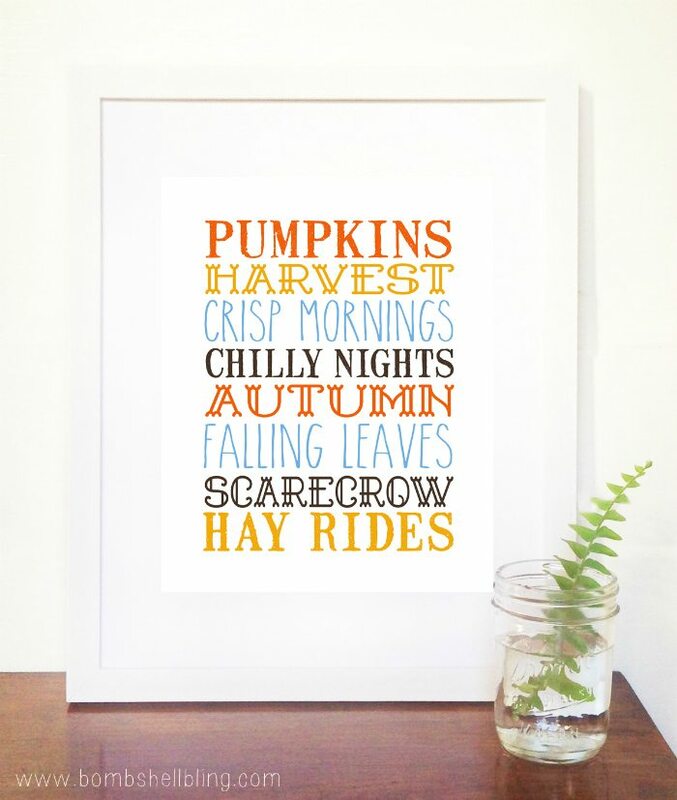 Simply print this free fall print then slip it in a frame then hang for quick fall decor! 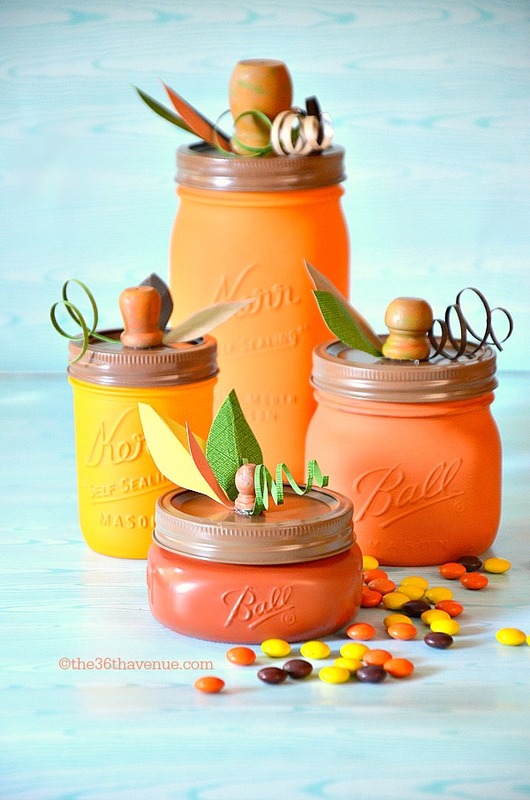 This Pumpkin Mason Jar Craft from The 36th Avenue is so cute for easy fall decor! Such a fun fall craft using mason jars and paint! 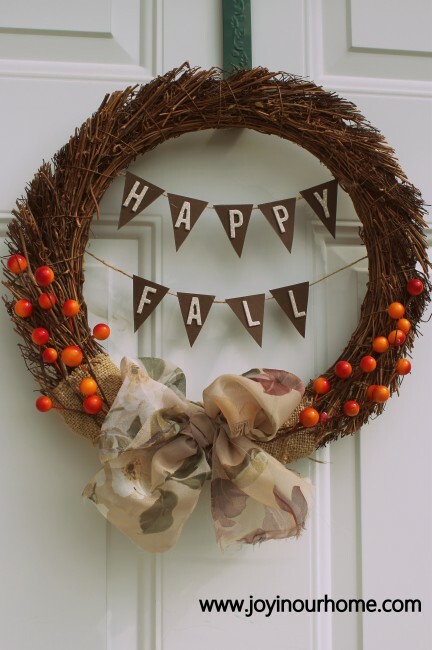 We love this easy to make Happy Fall Wreath using a grapevine wreath form from Joy in our Home. This is a simple fall wreath using card stock, burlap and berry sprigs, cute! These Paper Pumpkin Lanterns from Your HomeBased Mom are so easy to make with store bought paper lanterns! Such a cute fall craft idea! 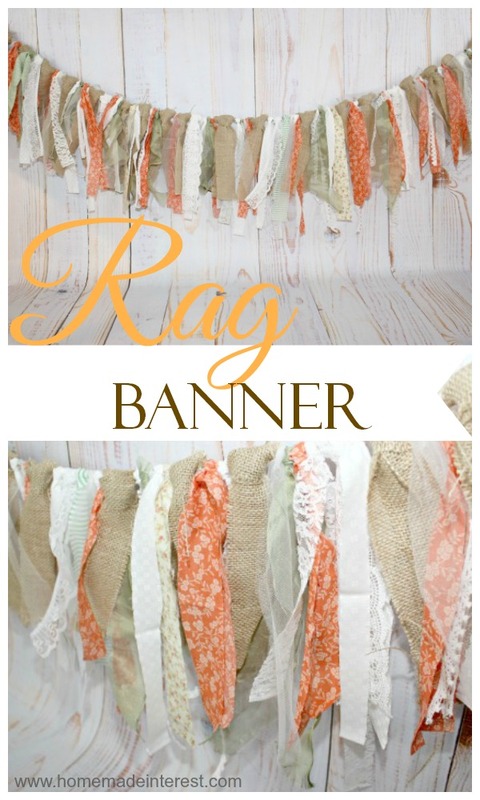 This Rustic Fall Rag Banner from Home Made Interest is such an easy project and it makes such a statement as a decoration. It’s simple to make and is easy to customize. 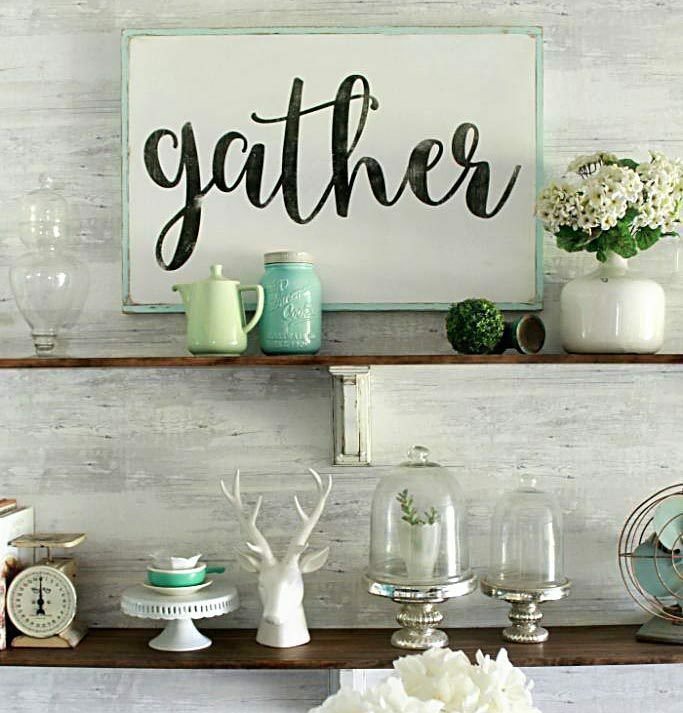 Try using one for the next birthday party, bridal shower, or baby shower you host! 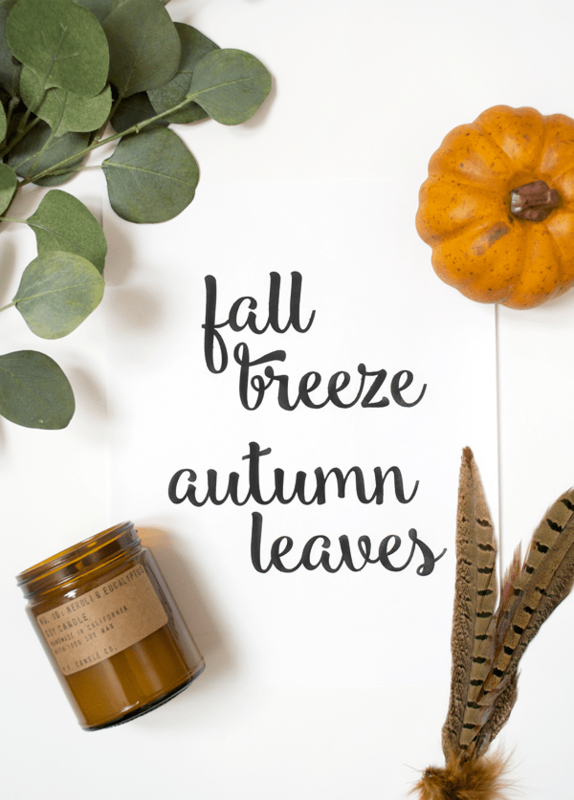 We adore this Fall Breeze Autumn Leaves free printable from Brepurposed. Just print and pop it into a frame for simple free fall art! 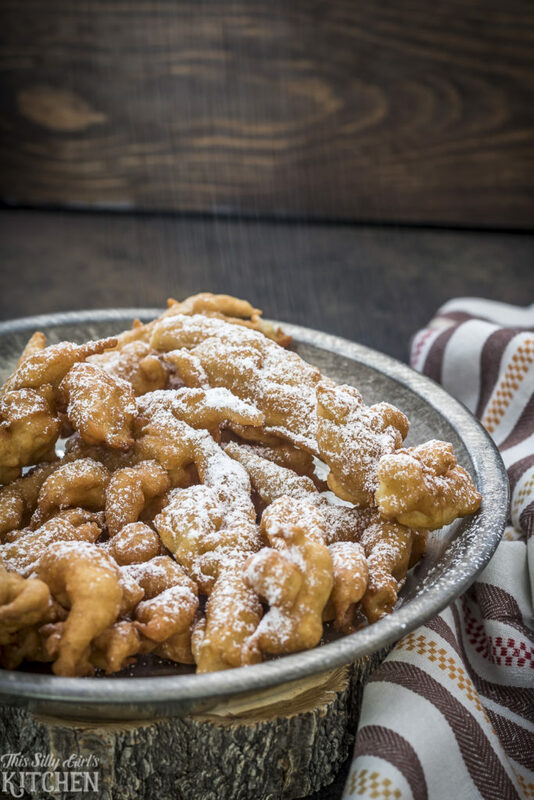 These Caramel Apple Funnel Cakes from This Silly Girl’s Life look amazing! She describes them as follows: “Basic funnel cake mix is spiced with cinnamon and pumpkin pie spice. Finely diced apples, powdered sugar and caramel sauce makes this a unique fall dessert!” YUM! 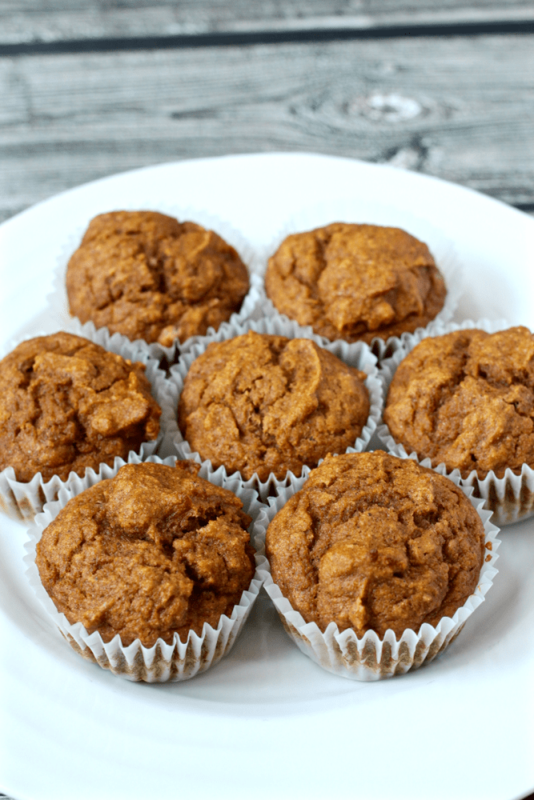 These one bowl Whole Wheat Pumpkin Muffins are moist and delicious! Grab the recipe from Family Food on the Table. Looking for a super quick and easy summer or fall dessert? 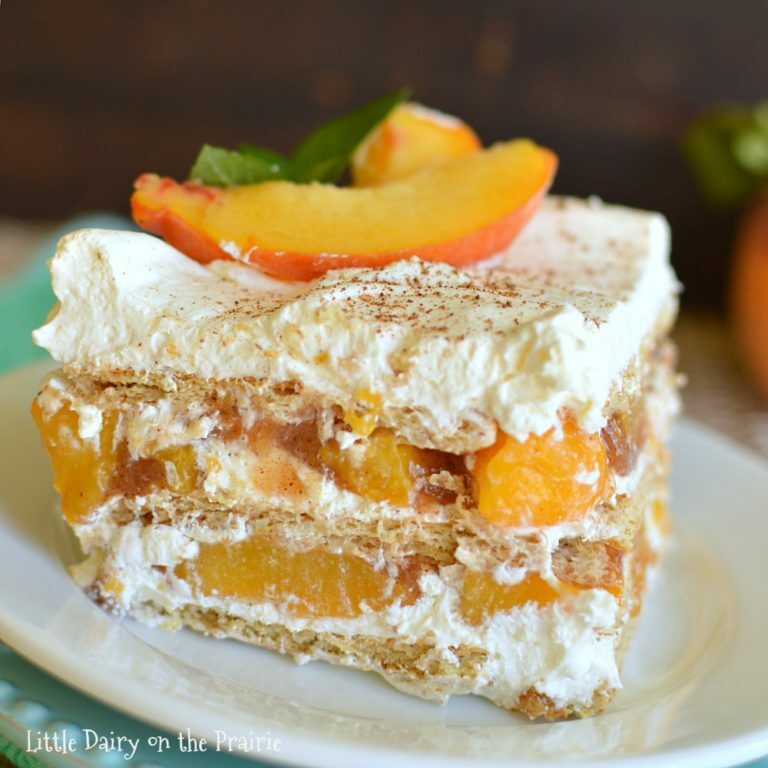 Try this scrumptious No Bake Peach Icebox Cake from Little Dairy on the Prairie. It’s piled high with luscious layers of whipped cream, peaches and graham crackers! Holy YUM!! The mother of all fall desserts! 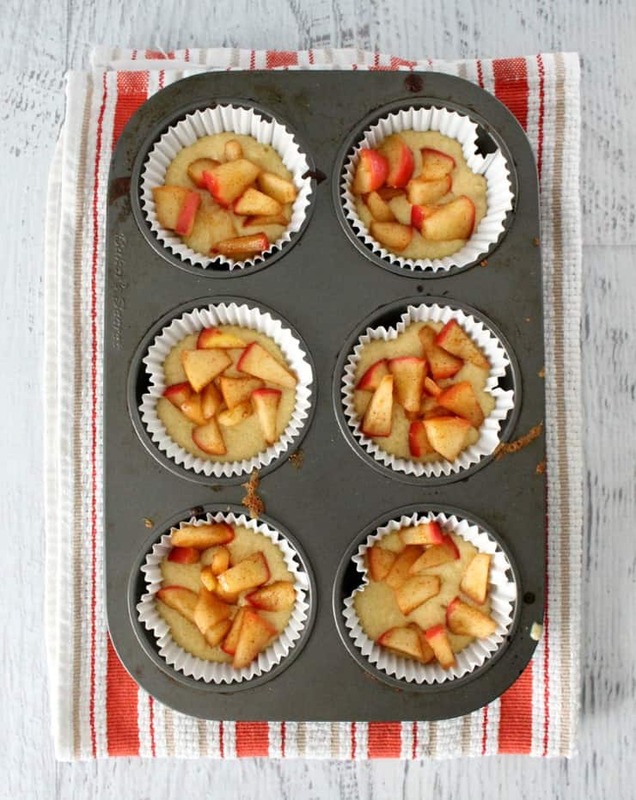 These Vanilla Bean Apple Muffins from The Simple, Sweet Life look so amazing with their apples and cinnamon, mm! 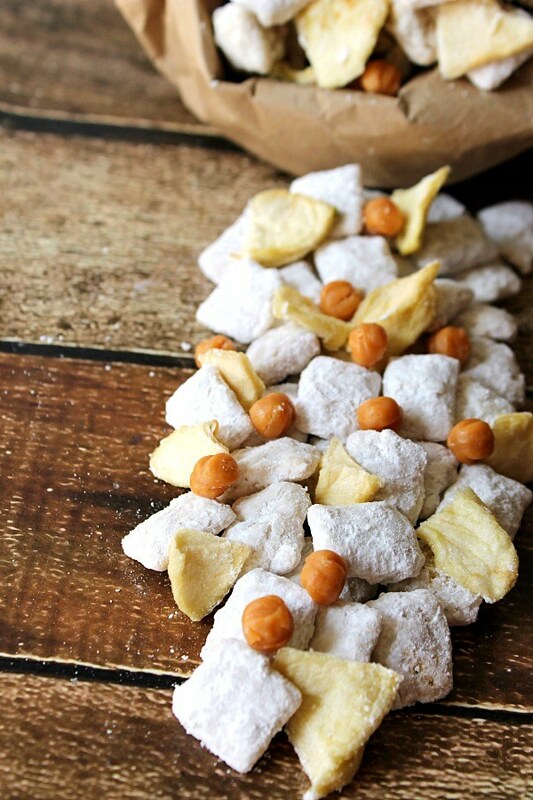 These easy to make Caramel Apple Muddy Buddies from Life with the Crust Off could not be simpler! It has all the caramel apple deliciousness. The apple flavor from the cereal and the dried apples is perfect with the caramel bits, yum! 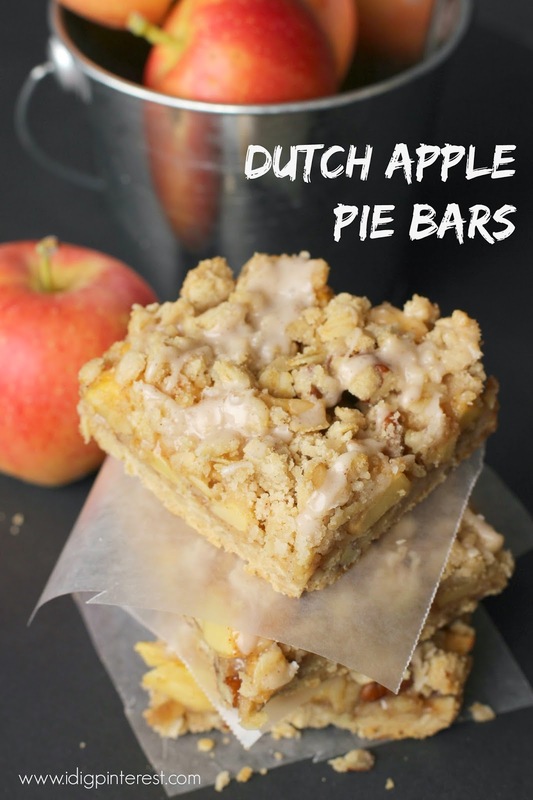 These delectable Dutch Apple Pie Bars from I Dig Pinterest have a tasty crumb topping and cinnamon sweet glaze that are sure to have you yearning for fall and the cooler weather! 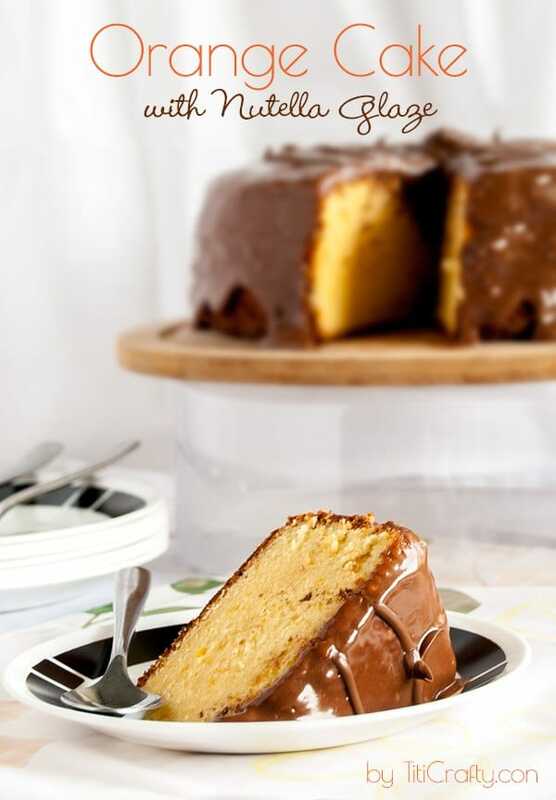 This delicious dessert Orange Cake with Nutella Glaze from The Crafting Nook is the perfect afternoon treat or after dinner dessert. Try this yummy orange cake covered with an amazing nutella glaze for the perfect fall recipe! Mmm! 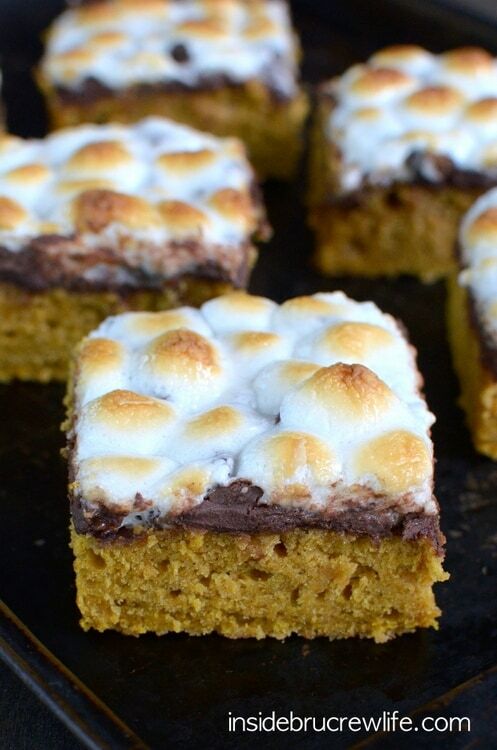 These Pumpkin S’mores Bars from Inside Bru Crew Life look amazing! Spicy pumpkin cake bars topped with melted chocolate and gooey marshmallows are the perfect dessert for bringing summer into fall. Cute! Chocolate Acorn Treats from Belly Full are the easiest fall or Thanksgiving treat! 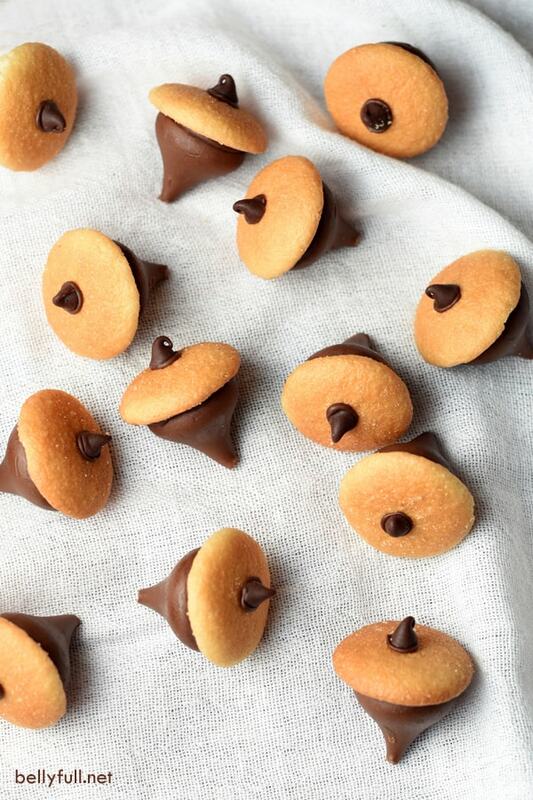 Made with Hershey’s Kisses, mini Nilla wafer cookies and semisweet chocolate chips, these couldn’t be easier to make! PLEASE PIN so your friends can get craftin’ and bakin’ too! Thanks so much for including my Orange cake in this awesome collection!!! And Also thanks for stooping by the blog and leave some love… so appreciated! I am so ready for Fall. Ready to break out the sweaters and the boots and of course the candy corn! 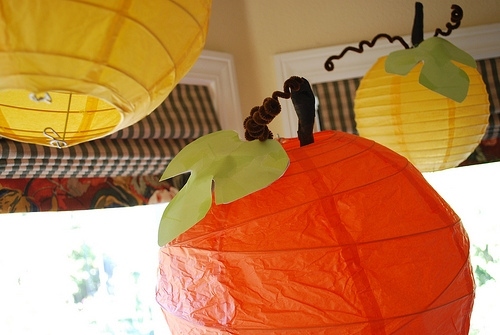 Love all the great Fall ideas and thanks for including my paper lantern pumpkins! Fun stuff!! Just pinned!! I need some pumpkin with cream cheese something–asap! This is a great collection of fall ideas! (Found this awesome post at We Are Pinnable! These are all so nice. Lots of inspiration. I love the flavours of fall by far more than any other season, even Christmas. Delish! Autumn is definitely my favorite time of year and I need that caramel funnel cake in my life !! Thanks for including my No Bake Peach Icebox Cake! All of these ideas are so fun! It’s making me want to start baking and decorating right now! That Icebox Cake looks so yummy!